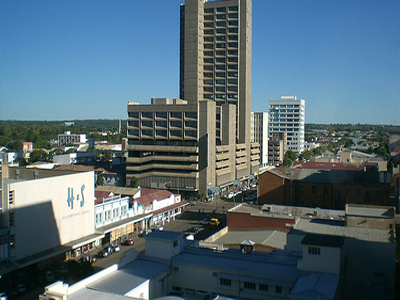 The cosmopolitan city of Bulawayo has been inhibited since prehistoric times. The ancient caves of Matobo Hills featuring delicate pictures painted by San people is one of the top historical places to visit in Bulawayo. The ancient stone city at Khami, built by Rozvi Kings is another important place to visit. Museum of Natural History in Bulawayo is renowned for showcasing over 75,000specimens. The museum considered as the largest in Africa houses the World’s second largest mounted elephant. On display at the galleries of the museum are exhibits like insects, birds and wildlife. Centenary and Central Parks located near the museum is also an exciting place to visit. Besides this, other major tourist places of interest in Bulawayo include Railway Museum, Zimbabwe International Trade Fair, Bulawayo Amphitheatre and Bulawayo National Art Gallery. Here's the our members favorite photos of "Cities in Zimbabwe". Upload your photo of Bulawayo!